Singletrack Health Attains Patient-Centered Medical Home Designation - Singletrack Health P.C. Blue Cross Blue Shield has announced that Singletrack Health has attained Patient-Centered Medical Home (PCMH) Recognition for using evidence-based, patient-centered processes that focus on highly coordinated care and long‐term, participative relationships. By earning recognition, it means Singletrack Health has made a commitment to providing a commitment to quality improvement within the practice and a patient-centered approach to care that results in patients that are happier and healthier. The Patient-Centered Medical Home is a model of primary care that combines teamwork and information technology to improve care, improve patients’ experience of care and reduce costs. Medical homes foster ongoing partnerships between patients and their personal clinicians, instead of approaching care as the sum of episodic office visits. 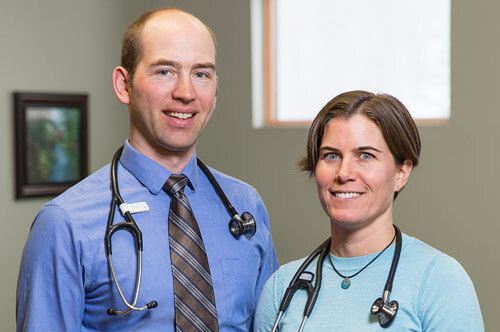 Each patient’s care is overseen by clinician-led care teams that coordinate treatment across the health care system. Research shows that medical homes can lead to higher quality and lower costs, and can improve patient and provider reported experiences of care. 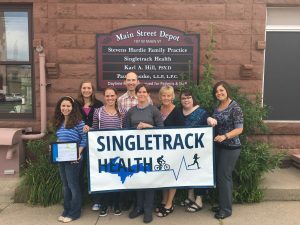 To earn recognition, which is valid for three years, Singletrack Health demonstrated the ability to meet the program’s key elements, embodying characteristics of the medical home.